It is time to recall some highlights and other good experiences from different conventions I have attended. Continuing with Space City Con I brought a poster that I had made from the photos I took at Phoenix Comicon in May 2013. with pictures of the Babylon 5 cast, some fans and a few of the pictures I took while traveling the South-West of the US – California, Arizona and Nevada. I wanted to have the poster signed by everyone of the B5 cast who were at both cons, and apart from one person who did not really like the personal picture, the reacti0on was very positive. 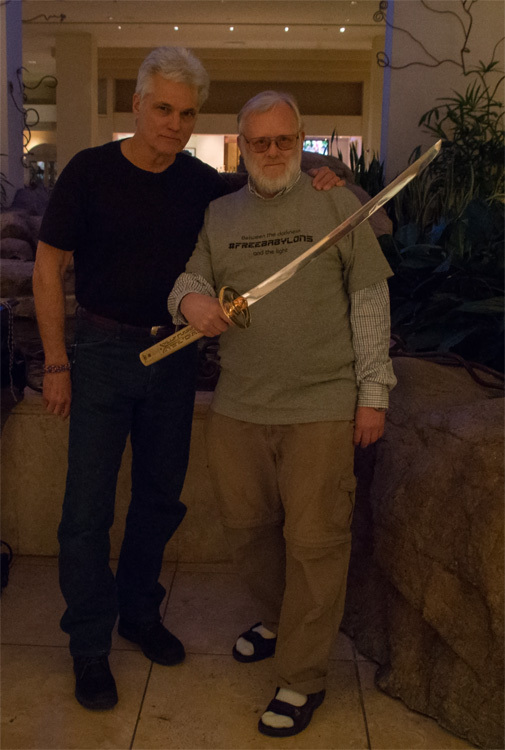 I also gave a copy of the poster to Patricia Tallman, so she could bring it to the “Great Maker” himself. The #FreeBabylon5 group campaigning for getting B5 back on TV and streaming services got one that could be auctioned at Ebay for support of the group, and Ranger Jenny immediately set things in motion to get that one signed. The most knowledgable B5 fan I know, Jan Schroeder, received one as well, and just seeing the surprise in the face was worth every effort. I managed to get the poster signed by every cast member present at Phoenix and Space City. Mission accomplished. A slight disappointment was missing Jerry Doyle who canceled last minute, probably to to work commitments. 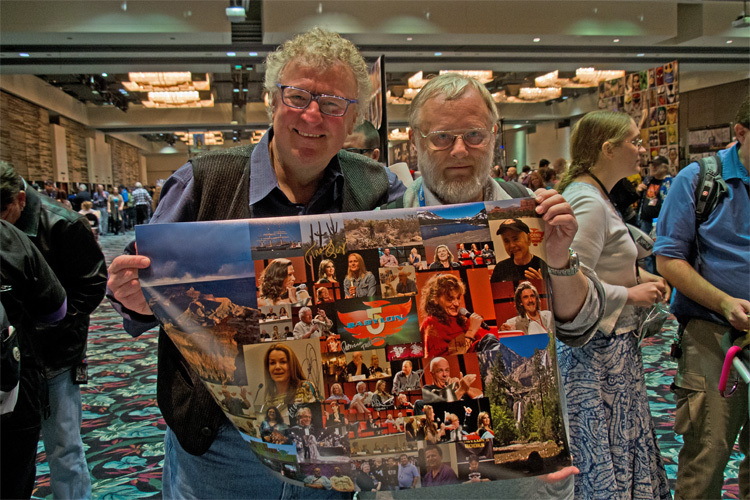 As a bonus, Peter Jurasik agreed to have a picture taken with him and myself showing the poster. Looks like he enjoys the interaction with the fans very much. A very enjoyable moment of Space City con, indeed.